Master index of 25 studies: "Determine your salvation"
Christ, who is all knowing, tells us that many people are going to be lost, but only few are going to be saved. In Matthew 7:13-14 He says, "Enter by the narrow gate: for wide is the gate, and broad is the way, that leads to destruction, and there are many who go in by it. Because narrow is the gate and difficult is the way which leads to life, and there are few who find it". Now this gets my attention. According to the Bible the majority of people will be lost. We must take this warning from God at face value. There are only two roads to eternity and we are on one or the other. According to what the Lord says, only few will make it to heaven, but the vast majority will be lost in eternal punishment. This is both frightening and sad. I don't consider myself selfish, but I certainly want to be among the few who are saved, don't you? We make the choice ourselves as to where we will spend eternity. We are free moral agents. This is how we differ from the animals. We have been made in the image of God. Genesis 1:26, "Then God said let Us make man in Our image". Also in Genesis 2:7 we read, "And the Lord God formed man of the dust of the ground, and breathed into his nostrils the breath of life; and man became a living soul". Yes, we posses a soul that will live forever. God does not want anyone to be lost, but the choice is ours. In II Peter 3:9 we read, "The Lord is not slack concerning His promise, as some count slackness, but is longsuffering toward us, not willing that any should perish but that all should come to repentance". God does not want us to go into eternal punishment. He is not going to force us to serve him, otherwise we would be mere robots. I Timothy 2:4 says, "Who desires all men to be saved, and to come to the knowledge of the truth". It is God's will that all be saved, but we know that is not going to happen. We have already seen that only few are going to be saved and the majority are going to be lost. Also, as the verse says, before we can be saved, we must "come to the knowledge of the truth." Jesus says in John 8:32, "And you shall know the truth, and the truth shall make you free." What is the truth that will make us free? In John 17:17 Jesus says, "Sanctify them by your truth. Your word is truth." So the word of God is the truth that will make us free so that we can go to heaven. 1) (Matthew 7:13-14) How many people will go to heaven? 2) The majority of people will go into eternal punishment. 4) God does not want anyone to be lost. All men have a good time. 6) God will force us to be saved. 7) (John 8:32) What will make us free? 8) Before we can be saved we must know the truth. 9) (John 17:17) What is truth? 10) The word of God is the only truth that will make us free. 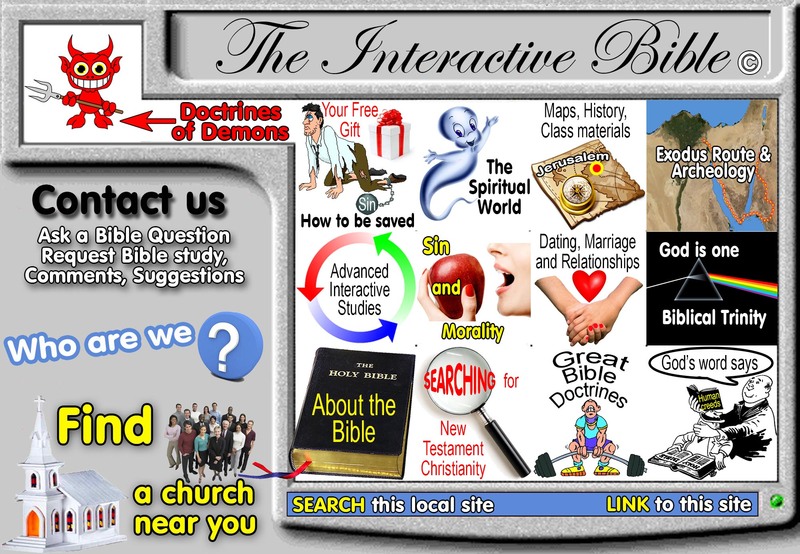 Home page for: "Determine your salvation"